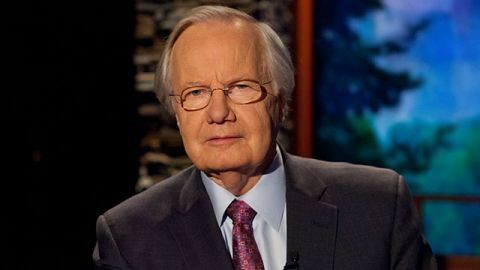 Veteran television journalist Bill Moyers just announced that he will be ending his television show in January 2015 -- this after more than forty years of reporting -- so let us salute this exceptional media figure. Winner of every journalism award, including almost forty Emmys, this recipient of the Lifetime Emmy for News and Public Affairs says that "deep down I really believe that... what makes this country unique is the First Amendment, which gives us the right to climb up on the deck of the Titanic and grab the arm of the captain and say, 'That's an iceberg up there! You've got to turn the ship of state around before there's a collision.'" This headline I saw on the Web this week, 'Marines Cross Euphrates,' got me to thinking. Do they know, these young marines, this elite fighting force American fighting force? Do they know Alexander the Great crossed the Euphrates, too, with his ... army of forty thousand strong, their thirteen-foot spears gleaming in the sun? ... The last word has always been written in the sand. Cities and states lie buried beneath it. The great figures that once held sway here...Suleman the Magnificent, the Ottomans, the British -- have all been carried away by the drifting dust. Five thousand years from now, who will be crossing the Euphrates? What will remain from our time? And what will be remembered? And today Moyers and Company -- nominated for a 2014 Emmy -- alerts us to current dangers. The latest program is a case in point; it reveals that the mainstream media are not disclosing that many pro-war pundits have financial ties to military contractors. The series also spotlights people trying to counter assaults on our society, as in Moyers' interview this week with an eighteen-year-old organizing to fight the climate change that especially threatens her generation. Such coverage sometimes elicits the charge that he is engaging in advocacy, but Moyers is willing to risk such criticism if that is the cost of reporting on activism that makes a difference. The Moyers and Company website will continue posting about this "news we need to know to keep our freedoms," as journalist Richard Reeves once put it to Moyers. Worried that the "unraveling of the social fabric through the growing corruption of politics by money and ideology threatens the very soul of democracy," in the new millennium Moyers has increasingly taken on this muckraking role. But that is not all, for Moyers is that rare journalist who also sees his "beat" as very much including the big, existential questions of life. Just this past August we were treated to a fascinating interview with actor John Lithgow about King Lear's meaning for us today, while earlier this year Moyers spotlighted someone he aptly characterized as a "poet and prophet": farmer/writer/ecologist Wendell Berry. Then there is the blockbuster series Joseph Campbell and the Power of Myth, with Bill Moyers, which has inspired millions since its first airing in 1988. So let us celebrate Bill Moyers. Let us revisit his archived shows and interact with his constantly-updated website. Let us carry forward those ideals that he champions, and that mean so much to us all.